As a public speaker, Peter’s personal account of the 2002 Bali bombings and the Australian spirit has led to testimonials from numerous corporate, government and sporting groups including former Australian test captain Steve Waugh. Peter was the man whose swollen and blistered face we saw on television during the shock first hours of news coverage from Bali. He literally took our breath away when we heard him quietly tell medical staff at the scene to help those worse off than him. Looking at Peter, anyone could see that he was badly injured himself. And indeed he was. He had experienced burns to 60% of his body and wasn’t expected to live. Later, he lapsed into a month long coma and died briefly three times whilst on life support. Fortunately, he was able to be revived. 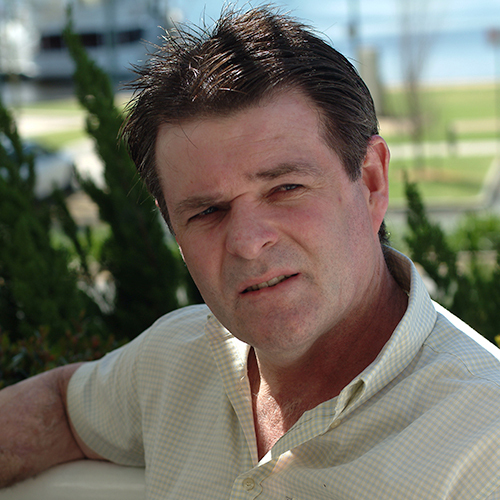 When the Bali bombings occurred on 12th October, 2002 Australian author, Patrick Lindsay was writing a booked called ‘The Spirit of the Digger’ but when he later interviewed Peter Hughes for the book he was so amazed by his story of love and courage, he decided to devote his next book ‘Back from the Dead’ entirely to Peter. This has since been published and is available at most of Peter’s public speaking engagements and leading booksellers. Peter, as part of his long and courageous recovery, came to the realisation that he needed to share his and the story of all other Australians who were so tragically affected by this act of horrendous terrorism which killed 88 Australians and wounded so many innocent victims. Peter’s positive message is reality based, filled with wisdom and inspiration, shaped by a lifetime of learning as well as his experiences as part of the Bali bombing tragedy. Peter’s humorous, anecdotal and compelling presentation motivates and inspires audiences to exceed personal and professional goals. His story is one of an ordinary Australian bloke who is now described as a ‘hero’ for his actions of rescuing two Australian girls who had been trapped in Paddy’s Bar, and one who has triumphed against the worst odds. Many of the serious burns he received to his hands were a direct result of his rescue of the girls from burning debris. It is also a testament to courage, mateship, and the remarkable resilience of the human spirit to overcome seemingly insurmountable odds. Peter gave evidence at the Bali bombing trials but has refused to let these events embitter his attitude towards life. “Peter’s speech was inspiring and gave us all a rare insight into what real human spirit is. West Coast Eagles Football Club.